The Canadian Hepato-Pancreatico-biliary Association was formed over a decade ago by Francis Sutherland and Michael Marcaccio as an organization to promote and coordinate professional, educational, research and social activities among HPB surgeons in Canada. The CHPBA works closely with the Canadian Association of General Surgeons to provide HPB related content, invited lectureships and continuing medical education to Canadian surgeons through local and national meetings. There are currently 62 Canadian members of the AHPBA that also belong to the CHPBA. 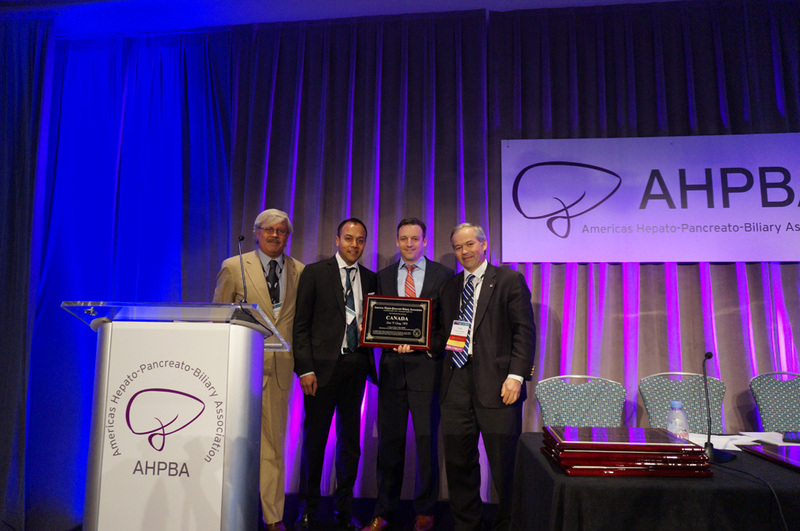 While Canadian members have always played a prominent role and made significant contributions to the AHPBA, the incorporation of the CHPBA as a chapter of the AHPBA is a tremendous honour that will provide important support and guidance in expanding the educational activities for HPB surgeons in Canada through consensus conferences, meetings, lectureships and courses. The Executive committee of the CHPBA consists of a President (Sean Cleary), President-elect (Shiva Jayaraman), Vice President (Jeffrey Barkun), Secretary (Chad Ball) and 2 members-at-large (Elijah Dixon and Francis Sutherland). This group meets bi-annually in person at the Canadian Surgical Forum and the AHPBA Annual meeting.